Volodymyr Balukh, Ukrainian activist who is accused of ammunition storage, was taken to the hospital from the "court" hall of the occupied Crimea. He was taken to the Central District Hospital of the Rozdolnensky District. Earlier, Balukh had an anesthetic injection, but the "prosecutor" insisted to send him to the hospital. “Balukh has been in custody for 11 months, despite the fact that a person on medium gravity crime can not be detained for more than 6 months under Article 255 of the Russian Criminal Procedure Code. Accordingly, the court must either release him, or choose another, softer preventive measure. Currently, his health has deteriorated, including due to conditions of detention. He experiences severe pain in the back area. In this connection, he has some motor problems. He does not receive proper medical care. Accordingly, the defense intends to submit this issue to court in order to change the Balukh’s preventive measure to a less strict one, not related to the detention,” Olga Dinze, Balukhs lawyer noted. 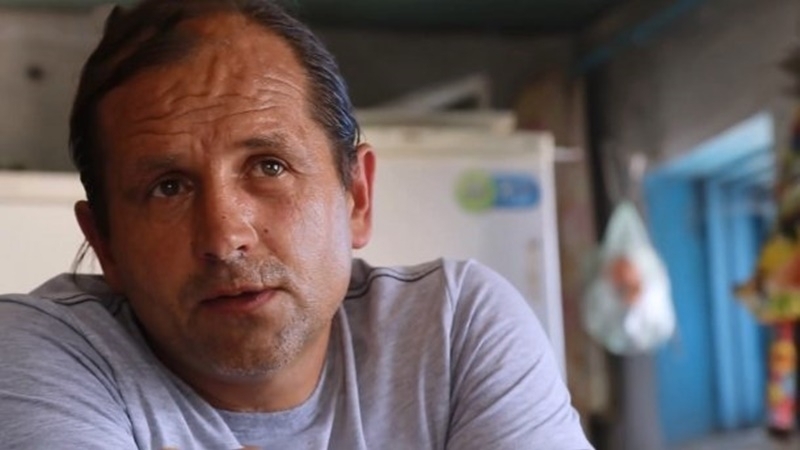 Earlier, QHA reported that on November 7th Rozdolnensky District Court of the occupied Crimea began the re-trial on the case of Volodymyr Balukh, Ukrainian political prisoner. Reference: Rozdolnensky District Court extended the arrest of the Ukrainian activist until January 16, 2018. During the debate, the prosecutor stated that there had been no grounds for changing the detention, and that Balukh, while on bail, could allegedly begin to engage in "illegal activities" again. Earlier, on August 4, the “court” sentenced Balukh to 3 years and 7 months of the colony of the general regime, and fined him 10 thousand rubles. On October 2, the case of the Ukrainian activist was sent for additional investigation. On December 8, 2016 Federal Security Service of the Russian Federation officials detained Balukh under the pretext of possession of 90 rounds of ammunition and TNT blocks in the attic of his house.